Released: Maybe around 2006, but not quite sure. Quality: Pro-film. 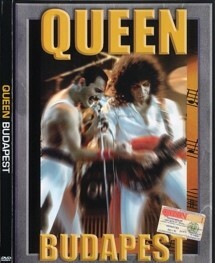 Filmed by National Hungary film company. 17 camera has been used. Comments: This show has been officially released by Queen Production and EMI in 1987on VHS. later released on LASER-DISC in Japan & USA. But, NOT complete show has so far been released. Handful of tracks has been missed. NEVER released officially on DVD so far. Only out on bootleg/ pirate DVD's. (DVD & DVDR). This concert has also been television broadcasted around in Europe true the years. You can find a handful of bootleg DVD's of this show on the marked. On both, 'silver' DVD and DVD-R boot's or rather 'pirate' DVD since it's actually officially VHS/Laser disc released. Roots: From officially VHS release. It looks like it's from a VHS tape. OK quality, but look forward to a full show officially DVD release of this show. 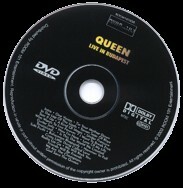 Actually same show/tour as officially "Live At Wembley" DVD/2cd. Is This The World Created?